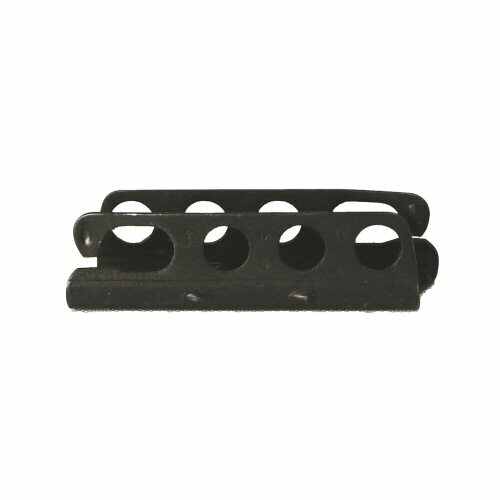 Genuine ex-military, blackened steel clip for five rounds of .303 Lee Enfield ammunition. The clip is marked for use with the Lee Enfield No.4 rifle, and additional markings include: War Department Arrow over the letter 'I', Mk 4 and K.F. This indicates that the clip originates from the pre-independence Indian Army (under British colonial administration), from the Kirkee Factory near Pune, and was manufactured between 1945 and 1947. In good condition, with some marks of storage and use, kept oiled to prevent large rust spots developing. 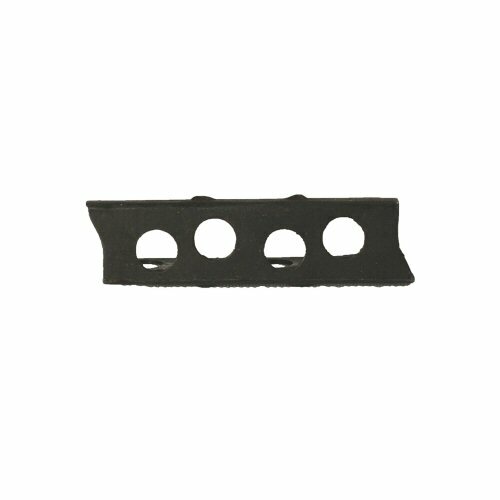 Ideal for diorama or to keep loose ammunition together for use with a Lee Enfield No.4 rifle. The bottom of the clip, with the two side dimples showing. These are present on the other side as well. 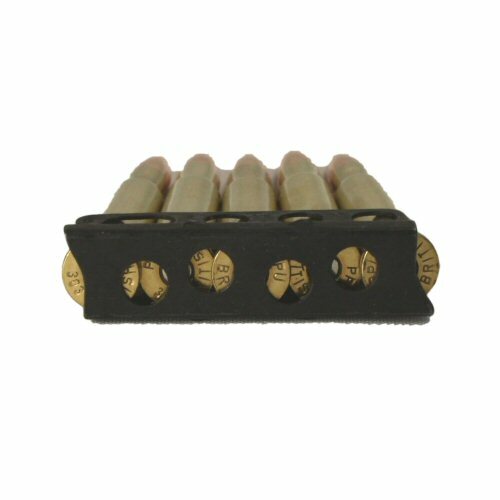 The clip with five dummy .303 rounds inserted. 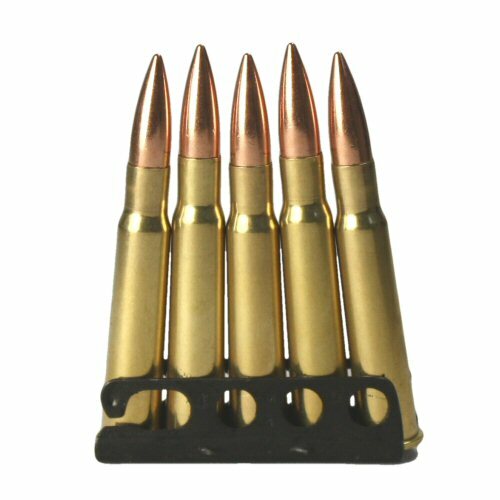 The bottom of the clip with the same five inert .303 rounds inserted.